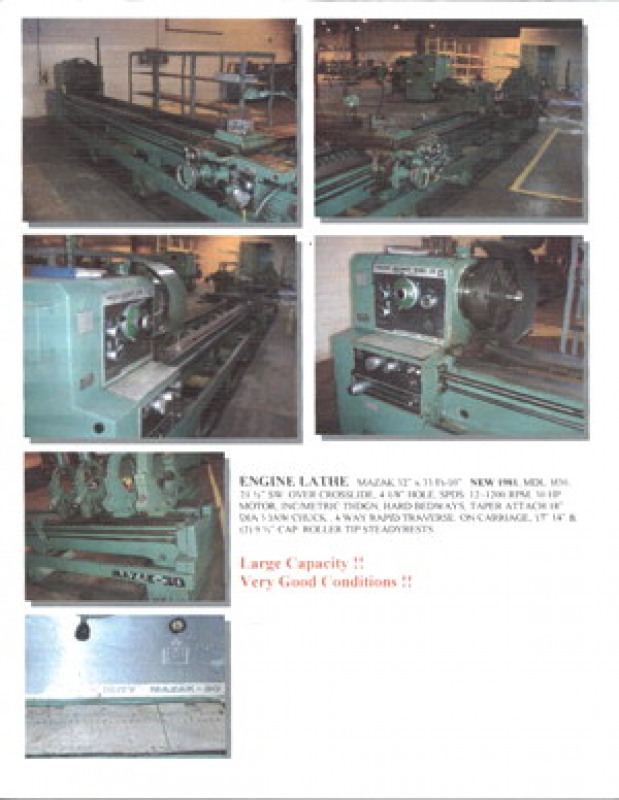 Swing Over Cross Slide:	21-1/2 "
Description:	1981 mazak 30" x 33'-10" (406") engine lathe, model h30, taper, steadies. under power. We add hundreds of new listings every week. 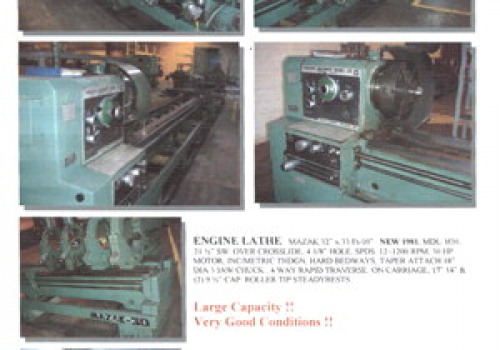 Be sure not to miss any Mazak H30 by subscribing to our email updates.